Thank you so much, have a wonderful New Year’s. This is so lovely and pure, Stacey. I love your eye and creative thought. Thank you Eliza, I love your blog, so much! Why, thank you so much! We’re mutual admirers! Is this one of your chicken’s feathers? They are beautiful. . . We got snow over night here – did you get some also? 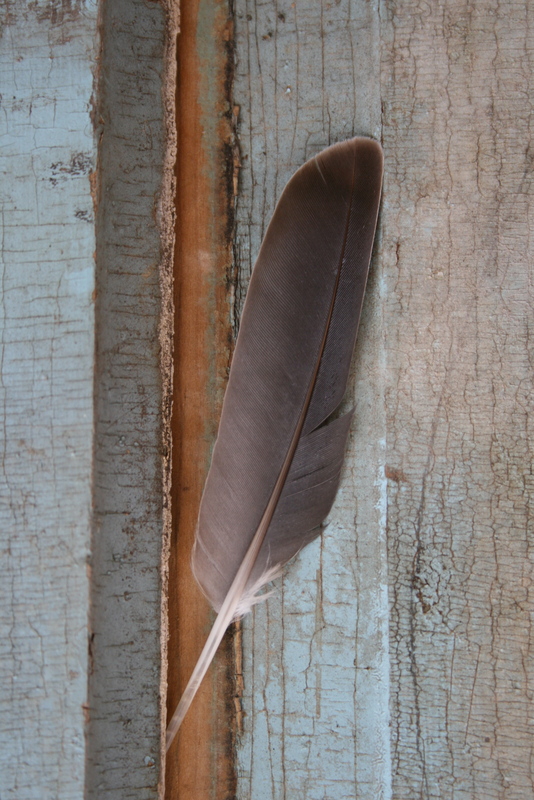 It’s a soft grey dove feather. Found in the yard. I have some doves that nest in our back yard, near a window, so I can hear them cooing in the early mornings in the summer. We did get some, 5 or 6 inches. Quickly it became Winter again, and cold. I was just fine with the balmy, muddy weather we have been having. Very cold this morning, only 9 degrees right now. Seems the price to pay for some sunshine.